We've had our eye on you for a while. Now that you’re back from the 2018 Laser World of Photonics China, we wanted to drop you a line. We’re excited to see another Vancouver company growing and prospering! It looks like you’re ready to take the next step in your online marketing. We would love to help. Based on our observations and experience helping growing companies with similar goals, we believe we can help nLIGHT attract talented job seekers, elevate user experience, and develop compelling messaging. Here are a few ways we can help. . .
Competition for engineering, manufacturing, and IT talent is fierce. Job seekers get snatched up quickly by companies that show an immersive, positive culture and a commitment to ongoing education and employee improvement. Beyond the content of your website, there are a few technical improvements (i.e., responsive design and security certifications) that could not only dramatically increase the usability of your website but also could potentially save you from harsh search result penalties. 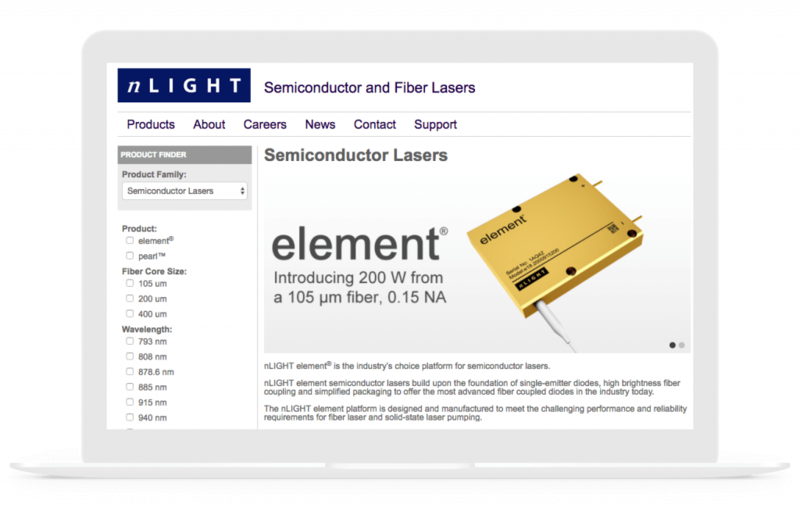 Finding and comparing products is cumbersome on your current site. You have hundreds if not thousands of products, many of which are very similar. Our hunch is technical buyers want to look at specs for a number of products at once, rather than one at a time. It looks like your sales are handled by outside companies, like Market Tech, which has caused confusion for similar buyers during previous projects. Can we clarify positioning and value to make the transition easier for your users? We just finished up a website and messaging project for your neighbor, CHC Hydronics. As an employee-owned company, hiring and retaining talented engineers was at the top of their list. 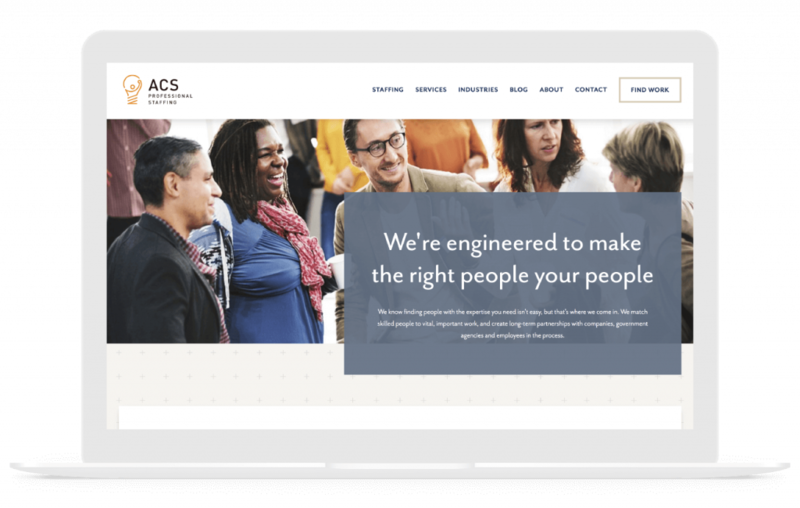 We worked to rebrand and develop comprehensive messaging—showcasing culture and company differentiators to job seekers who may have otherwise not considered CHC. Everyone from moms to millennials can use this website to envision the artist-crafted palettes throughout their homes, make informed choices, and purchase their perfect eco-friendly color online. A polished e-commerce website and ongoing digital marketing campaigns to drive traffic, grow the brand—and ultimately—sell more bikes. ACS Professional Staffing helps companies fill engineering and technical positions, across the Pacific Northwest. Gravitate updated their brand, message, and website to improve their ability to both attract and place talent. We’re right down the road. Let’s meet for coffee sometime! A little about us. . .
Gravitate is a digital agency specializing in web design, development, optimization, and digital marketing. We combine research-driven strategy and inventive design to architect change and build the best experiences for our clients’ audiences. We partner with people—courageous people, people who want change, and people who don’t just want to leave a dent in their industry, but a crater.